We will discuss individual parasite risks, testing, treatment and prevention. Nutrition is one of the most important aspects of preventative care. We carry a variety of veterinary prescription diets that we may discuss based on your pet’s needs, such as weight loss diets, dental diets or hypoallergenic diets. We do our best to make our recommendations based on scientific research so you can have all the knowledge needed to choose the diets that you feel is right for your pet. We can discuss brushing strategies and goals, effective dental diets and treats, oral gels and water additives. The puppy and kitten life stages are such an important stage in your pet’s life. We want to do our part in helping you get your pet started off on the right paw. Our senior and geriatric pets have unique needs and health concerns. A physical exam is very important for these pets to assess for early signs of disease or pain. As pets age, this physical exam becomes ever so important as they cannot speak and let us know how they are feeling. Ask us about routine testing to ensure your pet is as healthy on the inside as it appears on the outside. Early disease detection before symptoms develop usually results in better prognosis and management of disease. Nobody wants their pet to get sick or injured but we will be here for you if they do. Our goal is to try to return your pet to their optimal health. Sometimes this requires diagnostics to get to the bottom of the problem and to ensure accurate diagnosis, prognosis and treatment plans. We have a full pharmacy of canine and feline prescription and over the counter medications, supplements, ear cleaners and shampoo products. 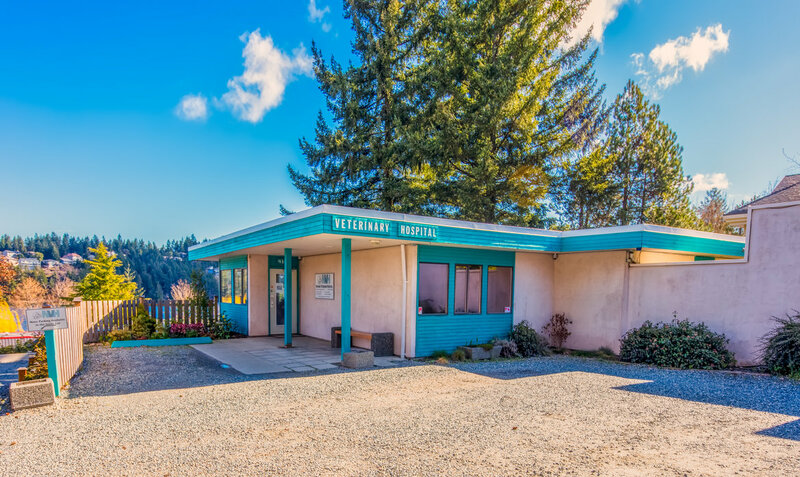 We offer many types of surgical procedures including; spay, neuter, lump removals, eyelid surgery, nasal/soft palate surgery and abdominal surgeries. Our experienced team is focused on providing safe anesthesia and minimizing risk of anesthetic or surgical complications. We can provide referrals to a board-certified veterinary surgeon for complicated orthopedic or other specialty surgeries. Dentistry is a very important part of preventative health. 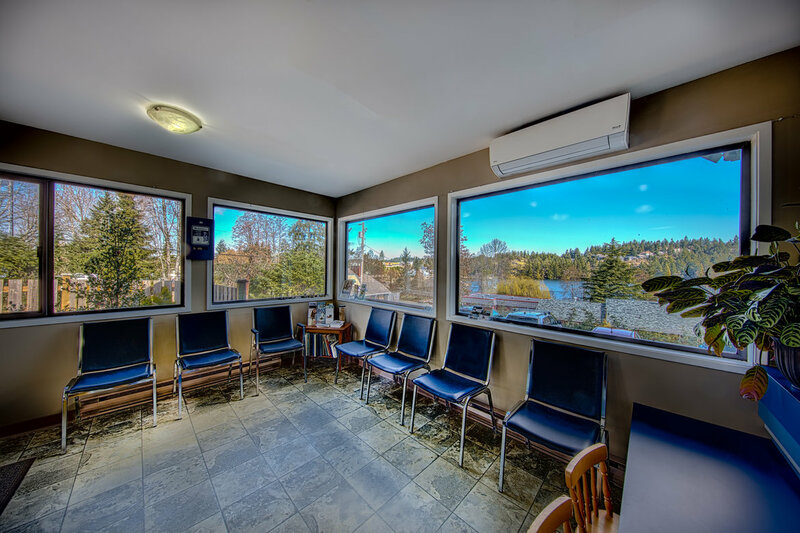 Our dental suite is fully equipped to meet all your pets needs from preventative dental cleanings to more involved dental surgical procedures. 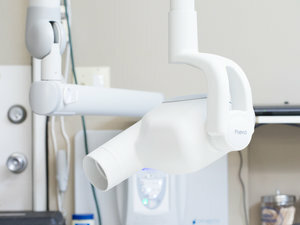 Our dental equipment includes; ultrasonic scaler and polishing unit, digital dental x-rays, high speed dental drill and a full compliment of dental hand tools. Our CR x-ray machine produces clear radiographic images that are digitized within minutes. Our veterinarians can then interpret the results immediately or may suggest electronically sending the results to a board-certified radiologist for an expert report. Light sedation may be recommended for certain x-ray views or for anxious pets. We offer in house ultrasound imaging. For more involved cases we have a sonographer come in to the hospital to perform the ultrasound or echocardiograms and can have a board-certified radiologist interpret the results. When results are needed fast we can rely on our state of the art on site lab equipment for immediate and accurate blood and urine testing. We can get results for sick patients within minutes, allowing us to get started with appropriate treatment right away. For specialty tests or preventative screenings, we can send samples to our reference lab. We do our best to accommodate your pet’s urgent care needs during business hours. If your pet is requiring urgent care, please call and our staff will direct you on the best course of action. Please contact us at 250-758-3985 if you have questions or would like to book an appointment.